Avoid feeling rushed and ripping your hair out by skipping the trip out of town and opting for a short Hamilton County, Indiana spring break getaway instead. Consider coming early and start on a Friday. Fridays are the perfect day for parents to skip work and spend quality time with the kids. You don&apos;t have enough time to cruise across the country, but you don&apos;t want this to feel like any other weekend. More importantly, it gives the kids the sense that you&apos;ve taken the time off just for them. So without further ado, the perfect spring family staycation! Start off with a fun and special breakfast. For our kids, doughnuts are the beginning and the end of fun breakfast. 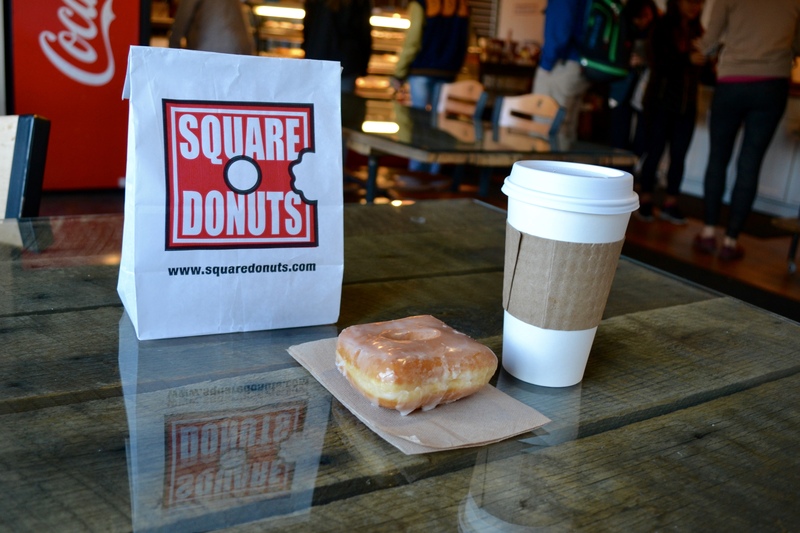 My kids recommend Square Doughnuts in Carmel or Jack&apos;s Doughnuts in Fishers or Carmel. Both local favorites. Afterwards head to Hamilton Town Center for the Goodrich Quality Hamilton 16 IMAX theater Morning Movies. At 10 a.m. every Friday (Saturday and Sunday also!) they screen a $1 family movie. Save on tickets, spend on popcorn and snacks. After the movie, head over to Scotty&apos;s Brewhouse at Hazel Dell Crossing in Noblesville. Scotty himself is a father of 4 young children so he has really created the perfect family restaurant complete with play areas, cartoons at the table and USB ports. I know you are sick of screen time, but take this time to let your kids teach you how to play Minecraft, bond with your tween by Instagramming your selfies together and just generally let it be a meal where they take the lead and show you their world. 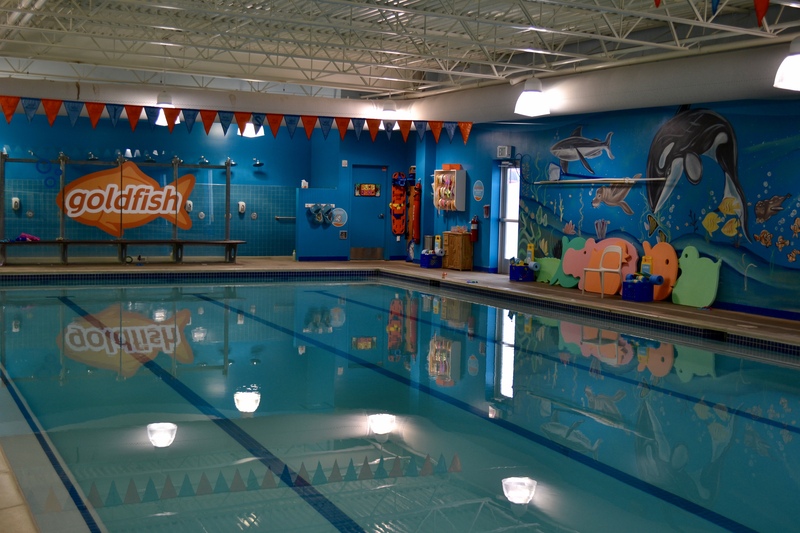 After lunch, take your kids to re-energize at Goldfish Swim School in either Carmel or Fishers. Both have family swim time from starting at five on Fridays. The indoor pools at Goldfish are heated to 90 degrees so there are no blue lips in the event of a cold spring break shower. This is Indiana after all. Not to mention they have tons of floaty toys and this absolutely amazing underwater table that can allow even the littlest bubble guppies to stand in the water- a real plus for us! The indoor aquatics area at the Monon Community Center is another option and includes waterslides and a play area. Lastly, a spring break escape wouldn&apos;t be complete without an amazing dinner and desert. In my experience, nothing brings a family together around a dinner table like the perfect pizza pie. Your kids will actually enjoy taking their eyes off of their iWhatevers and watch the dough get juggled and tossed. Then you can enjoy watching them fight for a slice of the delicious craft pizza at Pizzology. Or go classic burgers and beer at Bub&apos;s Burgers or Bubba&apos;s 33. And how do you end such a sweet spring break? 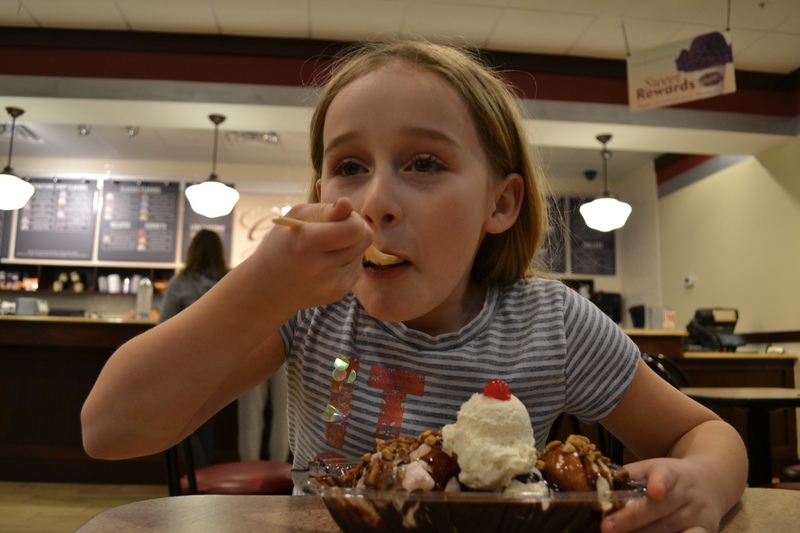 Of course there is no better way than indulging at Alexander&apos;s on the Square, Handel&apos;s or Graeter&apos;s along what I would call, "The Ice Cream Corridor." I hope your spring break getaway is a lot of fun and that you get a chance to make it special with your family! I&apos;d love to see and hear your stories on Twitter and Instagram, don&apos;t forget to tag @VisitHamiltonCo, @luisruvi and #VisitHC!